Determine which vitamins are lacking in our body and what to do to fill their lack. Vitamin deficiency is one of the most common diagnoses that doctors place on their patients. However, cases when the body needs some vitamin alone is rare – much more often, a person does not have enough of their particular group. Symptoms of deficiency of vitamins in the body can be problems with the skin, gums, eyesight, stomach, as well as fatigue and reduced function. Everything about it in order. You began to often feel dry and cut in your eyes, and in the dark it became difficult for you to distinguish even contours of objects? 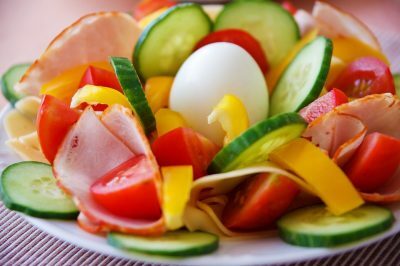 This may indicate that your body does not have enough vitamin A. Dilat your diet with dishes with liver, cheese and eggs. Also eat more vegetables and fruits of yellow and red. The first symptoms of vitamin B deficiency in the body are brittle hair, dandruff, persistent itching, hair loss, and also a deterioration in the color of the face. Be sure to add an extra portion of nuts, cereals and green vegetables to your diet. We also allow low-fat meat. Fragility of nails, frequent fatigue and muscle cramps … Do you know such a condition? These signs may indicate that your body lacks calcium. This is a reason to eat more fish, nuts, cheese and dairy products (with a normal percentage of fat) – they will help you fill up the lack of calcium. Occasional cases of constipation, a violation of absorption of nutrients in the intestine, or changes in taste preferences, may indicate a shortage of food fibers and magnesium in the body. There is this useful element in wheat bran, nuts and seeds, beans, green apples and salads, green sweet pepper. Frequent colds, bruises on the body, badly healing wounds and very dry skin … These symptoms may indicate a lack in the body of our most important vitamin – ascorbic acid or vitamin C. It is he who takes part in the overwhelming majority of chemical processes in the body. It is possible to fill vitamin C deficiency with dried rose hips, red pepper, horseradish, cauliflower, oranges, lemons, tangerines or apples. Next PostNext Photophobia: Why Are Your Eyes Sensitive To Light?